We are excited to announce that £0.5million dining room and classroom extension works have been completed at Longhill Primary school, in April 2016. 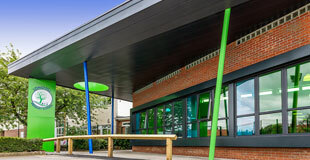 The extension works were designed to meet the needs of pupils and teachers for an enjoyable dining and learning experience, whilst increasing the existing capacity. ACA designed contemporary plans for the internal remodelling of the existing kitchen and dining room; the erection of a single storey building; an under-croft extension and interior remodelling to relocate classrooms and ancillary accommodation. The extensions increased the gross internal area to 198sqm. The new canopy identifies the main entrance with a positive contribution, inviting views of the extended dining facility. 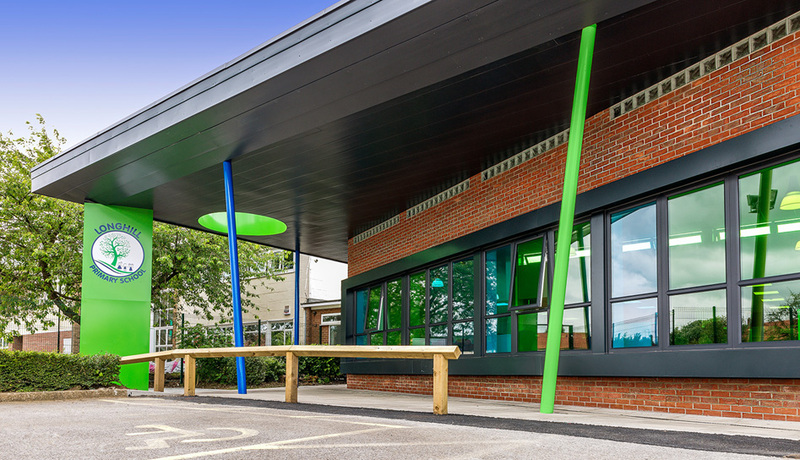 In the words of Mark Batty – Head Teacher at Longhill Primary School: “I remain impressed at how ACA led my team and I through a thorough, all-inclusive and investigative design process. Our requirements for an enjoyable dining and learning experience were perfectly interpreted and translated into innovative designs, accommodating value engineering throughout the whole process. Our children and staff are benefitting tremendously from the results”.